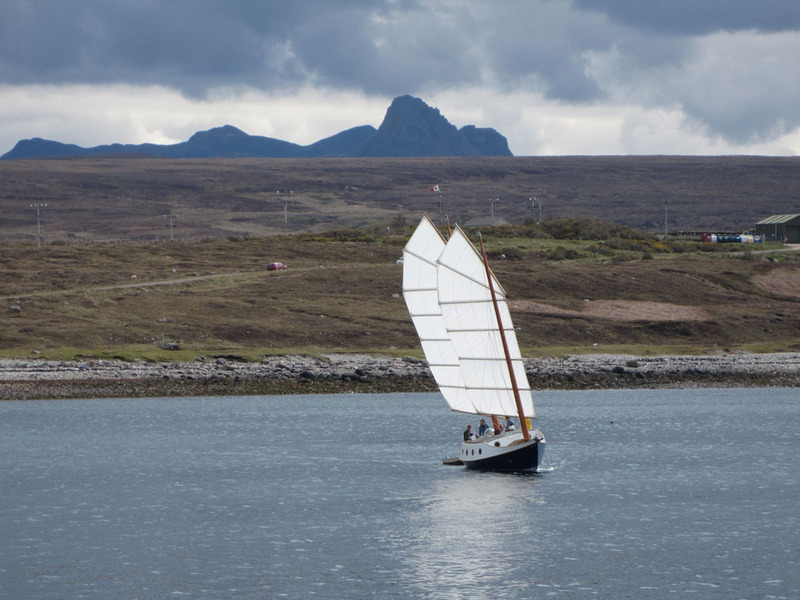 I think all of us who went to Achiltibuie would agree that we had a fantastic weekend, even though we didn’t win a single race, although we did come 2nd three times. After a chilly wind & night when we arrived, the weather faired up nicely on the Saturday, so although windy at times during the day, by the evening we were sitting out in glorious sunshine. The campsite is in a lovely location, with good facilities & the only pub for miles around (I think!?) just up the hill. 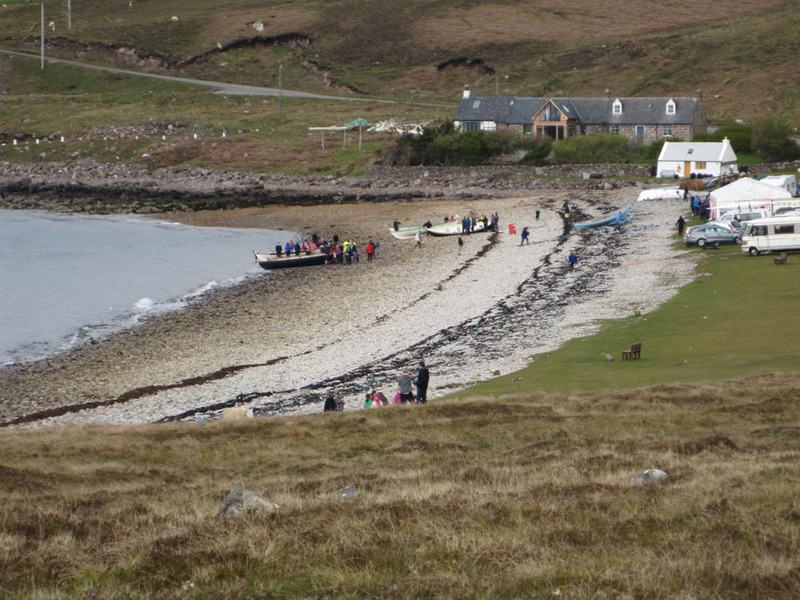 The racing beach was stoney, but with plenty of space for skiffs, people, transport, trailers & marquee. 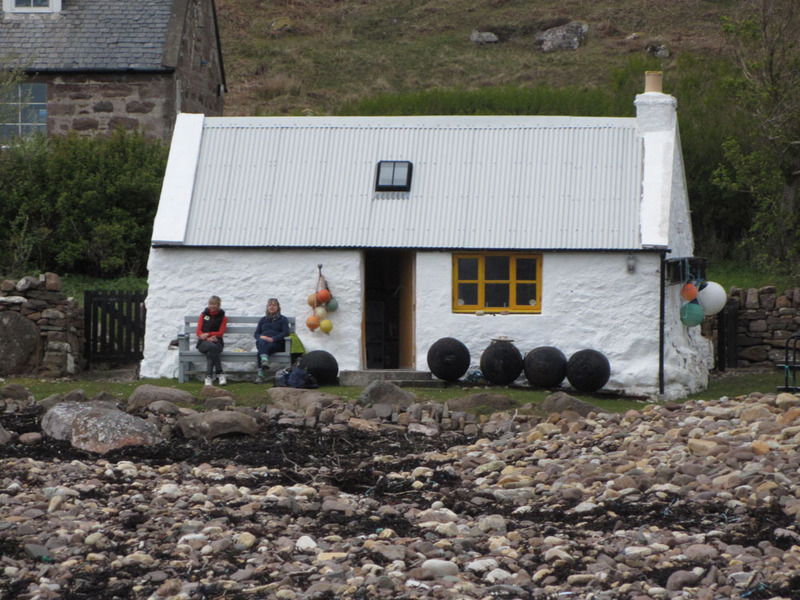 Nick & Jude stayed in a bijou des res, shoreside – well found! There was a good spread at lunchtime thanks to the over 60s group of women, & as well as a burger & a panini van. 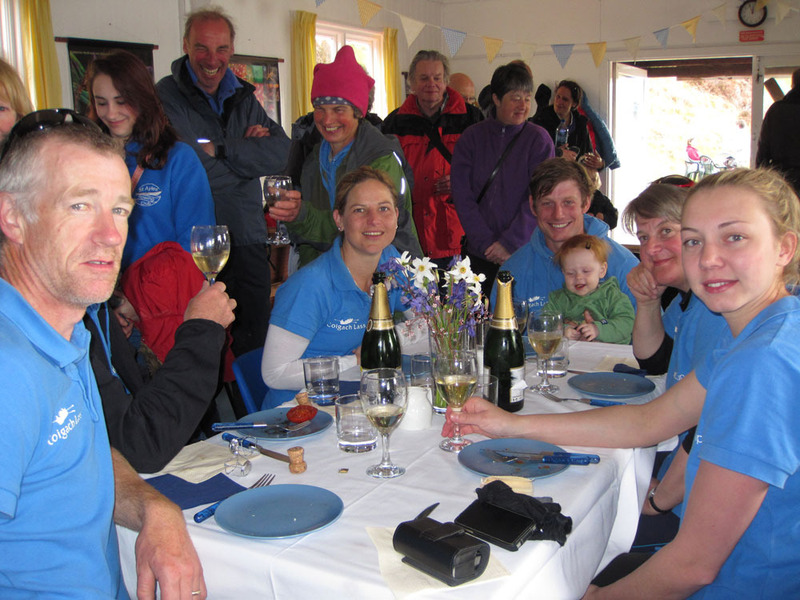 Racing… what can I say, Achiltibuie came away the strongest team, followed by Anstruther & North Berwick. Despite giving our all, it wasn’t too be. 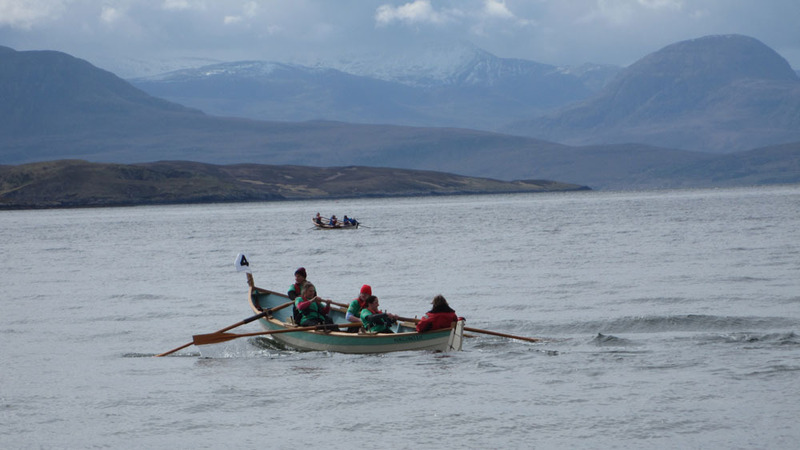 Oars seemed to be a big factor, with other teams, especially Achiltibuie having lighter oars which they were able to use to power away… others can explain the detail of that better than I can! As an oar-maker last winter, this is obviously disappointing, but I think our oars are too heavy & not well balanced enough. The evening celebration at the Coigach Community Hall was enjoyed by all, with a good spread of curries, chili etc. music & dancing. Some of us then ended up back at the pub or on the shore. Overall we had a fantastic weekend with great hospitality from the Coigach team, who were also very willing to share the details of their oars, & Ali, Frank & Alex had a chance to try these out on the Sunday, so we have lots of food for thought on that front.